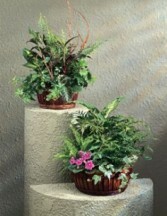 Brighten up any room with a lush indoor house plant from Bayberries Floral, or add color with a beautiful blooming flower. House plants add life to any room as well as purify the air. 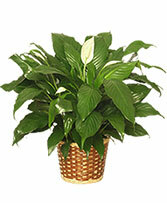 Most house plants like cooler rooms between 65 and 70 for daytime, and keep them away from drafts, warm and cold. Keepthe soil moist but not wet and be sure to allow the exsess water a way to escape.